Driven by an ever-changing consumer market, Xcell’s creative team is continually working on new products with packaging designed to enhance them. It is our commitment to bring a consistent flow of new and innovative products to the marketplace. (Read More) . Xcell Internation Corporation gave me the most amazing opportunity to try out just one of many, many amazing products that they provide. I had the hardest time trying to figure out what I wanted. My heart beat was racing, and I was sweating trying to figure out just one thing to choose from what felt like hundreds of products that I would die for. Even tho I still don't regret my decision on choosing the Dean Jacobs Complete Bread Dipping 7 piece set, I would have still loved to have the Cake Pops kit, or the funnel cake kit, which all looks fun! 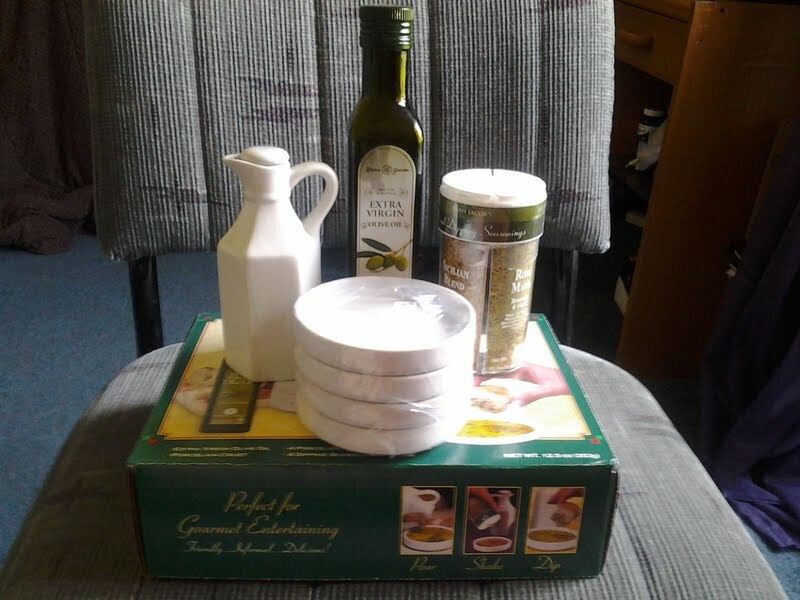 I have used my set several times to dip my french breads with this kit, but I have also learned to love to use my ingredients as cooking supplies, the olive oil is a great and healthy addition subsitute to grease or oils. It makes the foods taste better, and is healtier. The Rosa Maria (Rosemary & Garlic) gives my fish an amazing sultry flavor and kicks it up a little bit more then plain fish. The Parmesan Blend (Roasted Garlic & Cheese) and the Sicilian Blend (Traditional) gives a little more exotic flavoring to my boring breads and pastas, Tuscany Blend (Sundried Tomato & Basil) is non that I have ever had before. It spices up my bland and boring chicken, pork chops, and pork steaks. There are tons of amazing recipes you can find online to use with these seasonings that you would never in a million years think of. I have only tried a few and I have a thousand more to try. 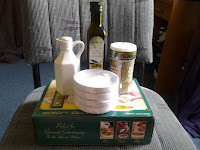 My set came with a olive oil pour which I can not live without! 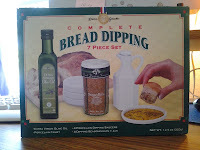 yes I have used it to dip my french breads, and may I mention that I adore olive oil dipped breads now! Yum! The set also came with 4 porcelain dipping saucers, which I have used for many, many other things besides using it as my dipping saucers. This set has become one of my every day sets, and I couldn't live without it. ♥ I receive no monetary compensation for this review. I was provided a 7 piece Bread Dipping Set to try and give my honest opinion.